Meet Lauren, Courtney, and Daisy. They are three hip, college educated women who have come together to make some positive big steps forward in the lives of black women. 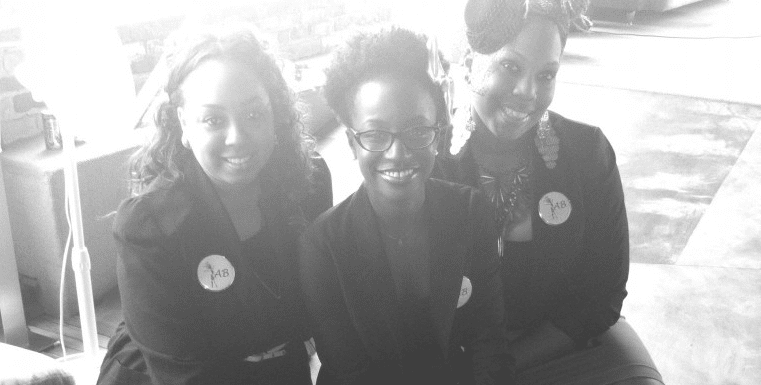 Together, the three created Y.A.B., a personal and professional development network for women of color that pushes them to be empowered and the best woman they can be — in every aspect of their lives. How? By proving to every woman, with a soft-feminist punch, that they too can be young, ambitious, and beautiful. Why did you start YAB and how did you form it? We started Y.A.B. because the three of us realized that there was an untapped market of young women networking with one another. Based on our experience at Michigan State University together, we realized that many of our peers were excelling in so many different areas and their success needed to be showcased to more people. As a result of our brainstorming and collaborative effort, we formed Y.A.B. We chose the acronyms Young, Ambitious, and Beautiful because we felt that these three words were the depiction for the type of women we wanted to promote career wise. Do you consider yourselves feminists? Why or why not? Well, by definition, the term “feminist” is defined as a person whose beliefs and behaviors reflect that of a collection of movements aimed at defining, establishing, and defending equal political, economic, and social rights for women. Society has placed a negative connotation upon this term and in turn it has been deemed as a radical extremist that is anti-femininity and pro male-bashing. We do not feel that we are the societal form of feminists; however, supporters of the well-being of women and women’s progress in a male-dominated society we can definitely say we are. If that is truly what feminists are, then feminists should be more appreciated and more uplifted than they truly are. Look at Shirley Chisholm. A woman viewed as aggressive and “out of her league” to many of her male counter-parts. Now let’s look at her accomplishments: fighting abortion politics, being the first African American woman elected to Congress and female to take on a presidential nomination bid, surviving three assassination attempts during her campaign, and being a loving and devoting wife. This is a product of feminism and this is what we want to support. Why do you think it’s important for African-American women to network professionally? We think it’s important for African American women to network professionally because it is beneficial to catapult African American women to success on the social hierarchy. Historically, African American women are deemed as very independent with negative attitudes and a lack of a need in the corporate realm. Yet, we have proven this to be falsified information. Today, we show that we can have very active roles owning businesses, being lead designers, being lead innovators, and much more. Our only downfall is our lack of communication within a network professionally. This is why Y.a.B. was established and why are motto is “lifting as we climb”. Through thorough research, we took the methods of leaders and cultures with the most influential and powerful networks and applied it to the network we are trying to build for African American young women. In turn, we will all benefit from one another and work together to dominate the social hierarchy of success. What are some other important women’s issues that YAB cares about? Some other women’s issues that we find of importance are health care, nutrition, cultural politics, community affairs and not just education but knowledge. Anyone could be educated because education is systematic but knowledge is the key to making a powerful impact within yourself as well as others. Being knowledgeable impacts health care, nutrition, cultural politics, and community affairs. This is especially important when it comes to women because daily in the news and media you see different laws and situations impacting women’s lives both positively and negatively. It is important to be aware of these issues in order to support them or change them. There has been a lot of conversation around the idea that black women tend to push each other down when it comes to career advancement. How does YAB reverse that idea? What resources does YAB provide to foster professional development in black women? Y.A.B. reverses that idea by promoting not only our members’ careers but non-members as well in order to catapult their career advancement. We actually request that women let us know about their careers so that we can display it to others across our social media links. We also post job and internship opportunities regularly through our social media links to give black women career advancement. Our main and most important resource for this is our LinkedIn page (www.linkedin.com/groups/Young, Ambitious and Beautiful). Utilizing LinkedIn as a social media link establishes the professional network and career advancement opportunity on a more interactive level. Are there any big projects or events coming up for YAB? Will there be meet ups so people can connect with each other? Next, would be our video contest. “What’s your ambition?” is YAB’s 1st Video Contest. This is an opportunity for ladies ages 18-30, outside of our members, to display their niche to the world. It is to include: Who you are?, What is your niche?, What is your ambition?, and What drives your ambition?. The contest ends Tuesday, July 31st at 11:59pm. See rules here. This event is projected to take place in November around the Thanksgiving holiday season. This will be our first big event that gives women, both our members and non-members, a chance to connect with one another. How can people connect with you all by social media? We utilize all social media to connect with others: Facebook, Twitter, Tumblr, LinkedIn, and our ShortForm TV channel.